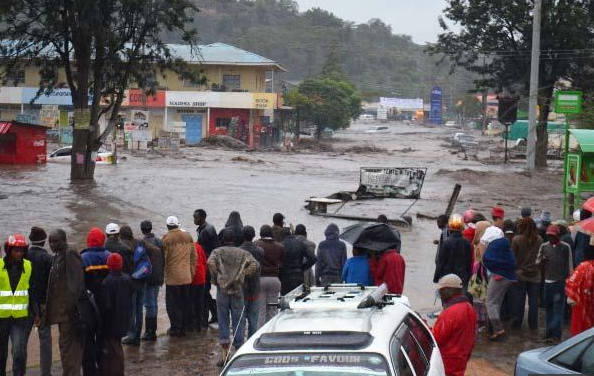 The Floods in Narok Town have already claimed nine lives in the last two days and rescuers say the number could rise since about 9 other people are still unaccounted for and five were were being treated in hospitals. Other people are feared trapped in a building which collapsed on Tuesday night although it hasn't been confirmed yet. The Enkare-Narok River burst its banks after a heavy rain with the flood water sweeping through the town and its surroundings. This is being silly. video lifted from the internet. Whoever did this story is a sick imbecile motivated by death.